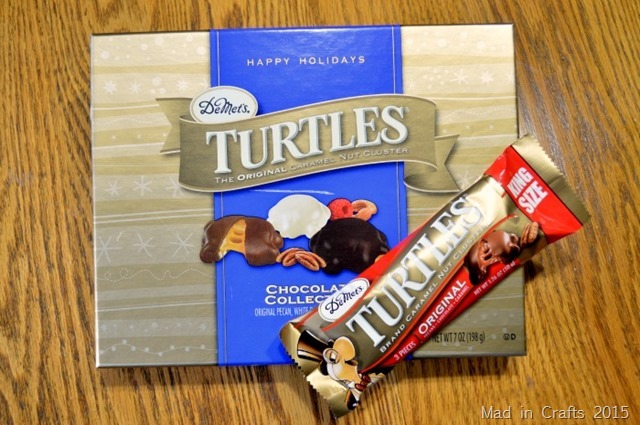 This is a sponsored post written by me on behalf of DeMet’s TURTLES® for IZEA. All opinions are 100% mine. If you are an avid reader of craft blogs, you have probably seen dozens of thoughtful, creative gift ideas already this month. Gifts for teachers and neighbors, kids and grandparents — all considerately curated and loving crafted. Those gifts take time and love to put together. So, what do you give to the crafter who makes sure that everyone else has gotten a special gift? 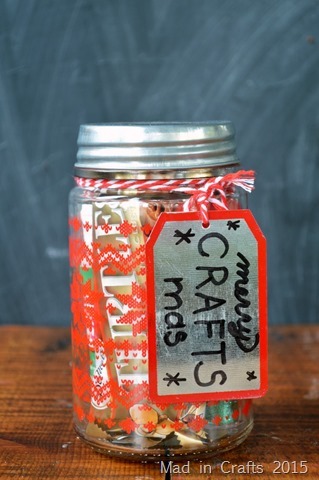 Today I am going to show you how you can show a little love to the crafter in your life! 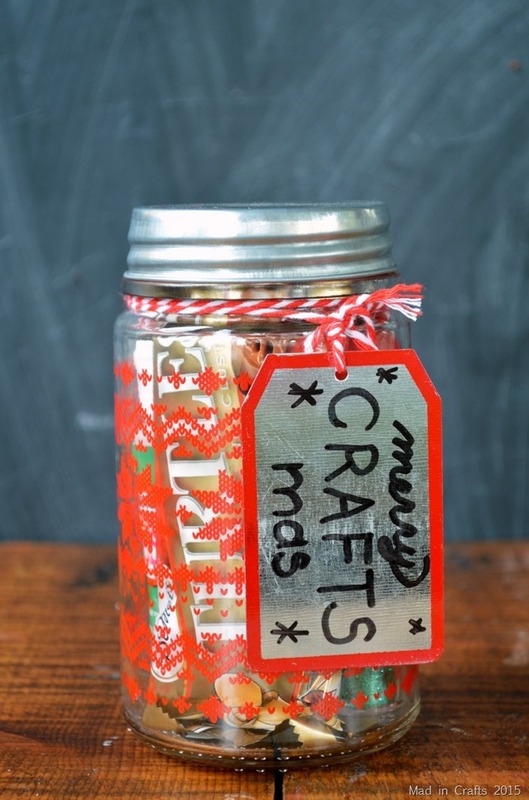 I wanted to give you some ideas of the kinds of craft supplies that crafters love to get, but that also fit inside of a jar. 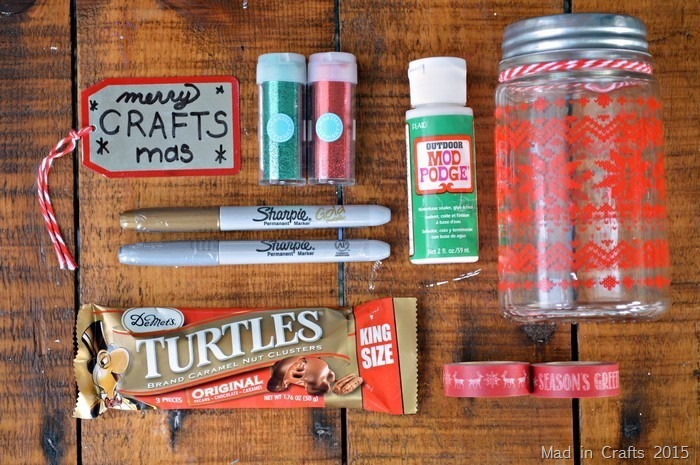 If you are looking for more gift ideas for crafters, be sure to check out my Ultimate Crafter Gift Guide! 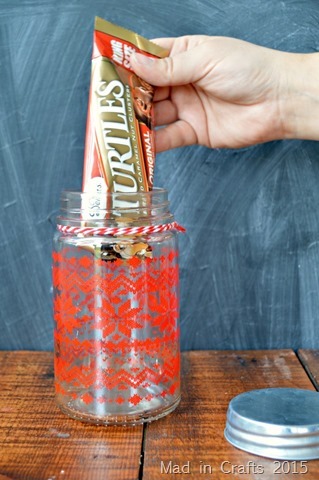 It’s a nice idea to throw a delicious treat inside of the jar as well. We crafters like to have a little something to snack on while we work on our various projects. Chocolate is ALWAYS welcome. When you are packing the jar, put the largest items in first to ensure they will fit. The TURTLES king sized treat fit perfectly inside of this jar. Packaging the supplies inside of the mason jar allows the giftee a glimpse of all the goodies inside. 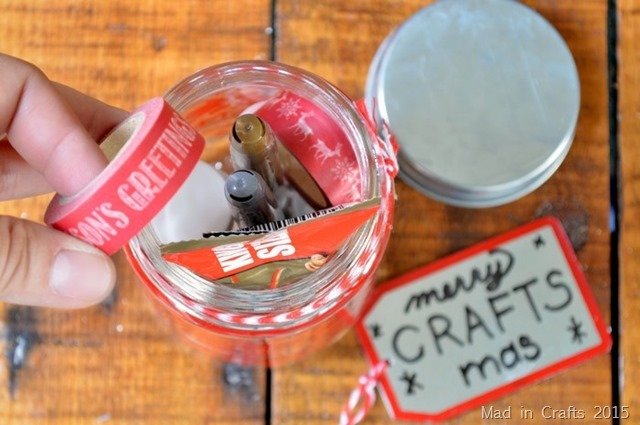 When the jar is full, screw on the top and add a gift tag! Do want to spread some joy to your loved ones this holiday season? DeMet is offering a coupon, so you can save $1 on TURTLES® clusters. 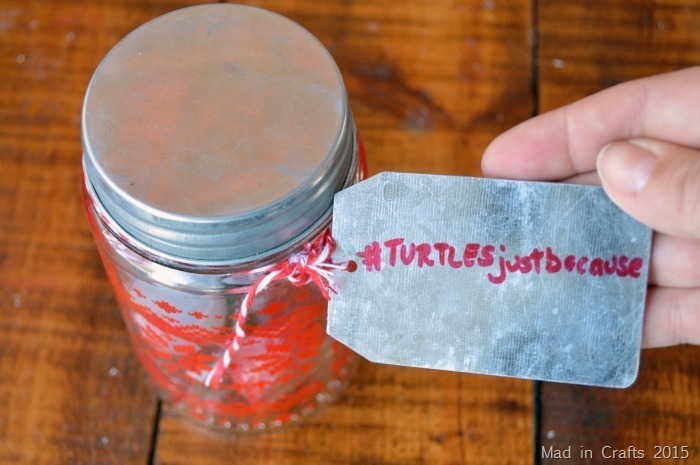 Become a part of the TURTLES® community on Facebook for more information. This is my kind of gift! I love Turtles so much! 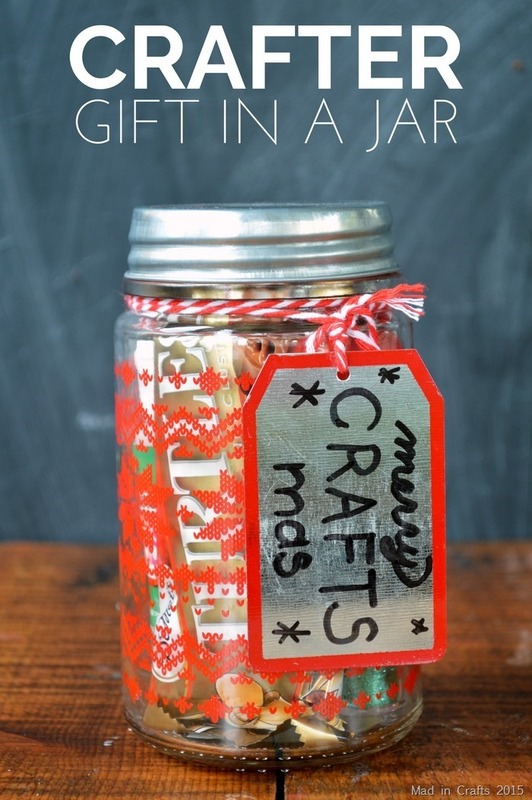 I found that jar at Target and it already had that adorable fair isle pattern on it.